The Cinco de Mayo festival weekend is always a huge date on the boxing calendar and this year we have a real Battle of Mexico, with one of the sport's biggest stars taking on one of its most famous names in a genuine grudge match in Las Vegas. Saul 'Canelo' Alvarez is right up there on most pound-for-pound lists and is a big favourite to beat Julio Cesar Chavez Jr, who despite being a former WBC world champion with 50 wins under his belt has never managed to escape the shadow of his father, who is widely regarded as the greatest Mexican boxer of all time. Beating Canelo would certainly go a long way to addressing that situation, but it will be no easy task. Canelo's only defeat in 50 fights was to Floyd Mayweather, and he has been in formidable form, knocking out British pair Amir Khan and Liam Smith in his last two fights. 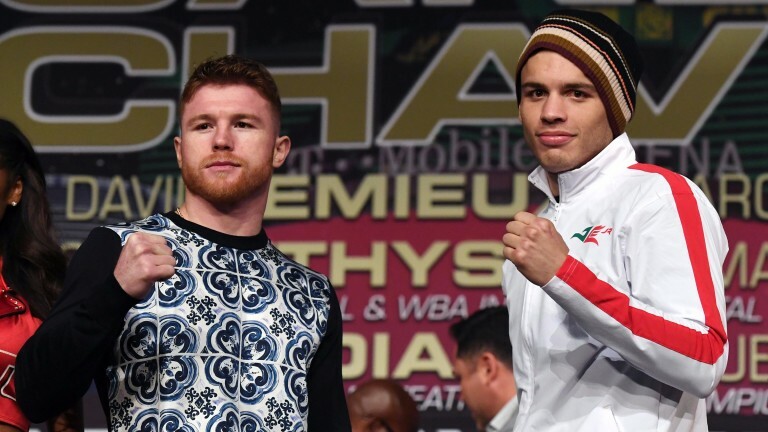 Apart from a long-awaited showdown with Gennady Golovkin, Canelo has fought pretty much everyone around the super-welterweight division, but this contest will see him jump 10lbs to a 164.5lb catchweight to take on the bigger Chavez. Chavez does not have such high-calibre opponents on his record and has struggled with weight issues and indiscipline throughout his career. After losing on points to middleweight champ Sergio Martinez in 2013 he jumped a full stone to light-heavy. His five fights since have produced four points wins and a KO loss to Andrzej Fonfara - the only time he has been stopped in his career. Judging how both men will perform at 164.5lbs is tricky. Canelo will be considerably heavier than he has ever been, while Chavez will be at his lightest for almost five years, but in terms of skill and experience Canelo has the advantage. Chavez is around a 5-1 underdog, but only Mayweather has managed to outbox Canelo and he is not in that class. However, he does have a good chin and Canelo is unlikely to be able to blast him out as he has done to so many smaller men, so 6-4 that Canelo wins on the scorecards makes more appeal than the evens on offer for the stoppage.